Do you have a sibling or family member with special needs? Do you know someone who has a disability? Do you have a story you would like to share? If so, you have come to the right place. Siblings with a Mission strives to give siblings, families, and professionals in the special needs community a place to share their stories. We encourage you to write and share your story. Many siblings and families have found that writing their story can be a therapeutic process, and stories can provide support and help other siblings and families who have similar experiences. With more stories, we can provide more support and increase more awareness of the what it is like to live with or know someone who has special needs. 1) How do you explain your sibling’s disability to your friends and family? 2) What do you do when people stare at your sibling? 3) Does it feel like your parents spend more time with your sibling with special needs than they do with you? How do you deal with this? 4) How do you live with emotions of anger, jealousy, disappointment, embarrassment, guilt, etc.? 5) Are you going to college this year or are you currently in college? What do you worry about regarding your sibling? How do you stay in touch with your sibling while you are in college? 6) How have your career choices or volunteer activities been influenced by your sibling? How have you changed because of your sibling? 7) Do you view people with disabilities differently now that you have experience with a sibling with special needs? How has your perception of disabilities changed? Is it a good or bad perception? 8) Has your sibling or friend with special needs passed away? Tell your story. 9) Do you have any funny stories? Sad stories? Memorable stories? 10) Please share any story you feel is appropriate and resourceful. 1) What is your sibling’s diagnosis? What is it like having a sibling with that diagnosis? How do you explain your sibling’s diagnosis to others? 3) Association Profile: Is there an association, organization, or facility that helps people like your brother or sister (i.e. Autism Association, Down Syndrome Association, MPS Society, etc.)? As part of our mission, we spread awareness of organizations that serve and support families and individuals with special needs. Write a profile on an association, facility, or hospital department. Explain some of the services the organization or facility provides. Explain where the organization or facility is located and how people can contact and get in touch with the group. Feel free to interview someone. This profile will help siblings and families find resources. 4) Celebrity Profile: Are there celebrities that are advocates for special needs? Or is there a well-known association or organization that helps people with special needs? Write about a celebrity or well-known organization and explain how this individual or organization helps people with special needs. 5) Sibling Spotlight: Is there a sibling hero who has significantly helped the special needs community? Explain how this person has made a difference and explain how other siblings can make a difference, too. Feel free to interview someone. Ask for their picture. Have fun with this topic! Once you have an idea for a story, start writing! It's okay if you don't know what to write at first. Just start writing whatever you think of first, and your story will develop from there. If you are able to, please write your story in a Word document (or equivalent program) or in the body of an email message. Please include a title for your story, and a picture if you have one. When you are ready, please submit your story as an attached document in an email or in the body of an email message to siblingswithamission@gmail.com. You may also reach us on our website here. If you have any questions, please feel free to contact us. We are happy to help. 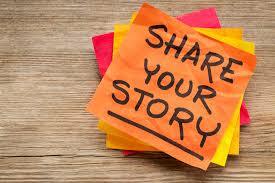 Share your story today! We look forward to reading and sharing your story. Thank you!